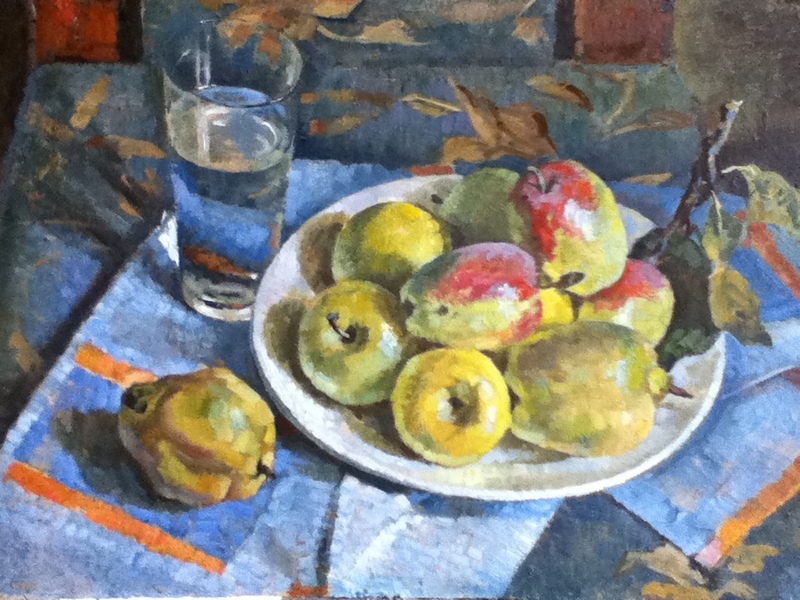 These fruits are from our Crimean garden , painted in the end of summer or early autumn when the Kandil apples are still green. I was born on June the 10th , 1975 in St. Petersburg . At age of 13 y.o . I was introduced to art at the studio of my first and main teacher St.Petersburg artist M.K. Zhernosek . His teacher was a famous Russian artist E.E. Moiseenko . 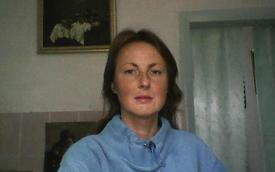 In 1993-1998 I studied painting at the Art Department of St. Petersburg Pedagogical University. Graduated from the university in 1998 , diploma painting "Nika". For a number of years I painted and taught art at chidren art studio in St.Petersburg . Now I live and work in Crimea . My paintings are in private collections in Russia and abroad .